The Yorkshire Arboretum is a stunning location for your event whatever the occasion, be it a wedding reception, children's party, club or society meeting, anniversary or birthday party or reunion. We offer a variety of accommodation including our Visitor Centre and the option of marquee hire in the arboretum grounds. This beautiful oak and glass building can accommodate up to 50 guests for a seated function and up to 80 for buffet, or drinks only, events (120 if the outside terrace is used). Optional extras available include a licensed bar, music and guided tours of the arboretum. With built-in projector and screen and blackout blinds included in your rental, the Centre is as suited to a business discussion as it is to a party. We can set-up the room to your requirements (theatre, open square, classroom etc.) to ensure the success of your event. The Visitor Centre is available for full day, half day and evening hires throughout the year, with rates varying according to season. Please contact us at visit@yorkshirearboretum.org for a quote for your event. The glorious landscape of the Yorkshire Arboretum is the perfect backdrop to a marquee event. Offering ultimate flexibility on capacity, design and decorative options, marquees are a popular choice for those celebrating a special occasion here. You can use the grounds as a "blank canvas” and make all your own arrangements for marquee rental, logistics supplies etc., or leave it to us to organise everything on your behalf – it's up to you. Our lakeside lawn is the most popular choice for marquee location, but other sites may be available depending on the season, size of marquee required etc. We'll be pleased to discuss the options available with you. The arboretum grounds may be hired between the 1st March and 30th November on a multi-day, full day, half-day or evening basis. Please contact us to obtain a quote for your event. Parties cost £130 + VAT (£156) for up to 25 children. 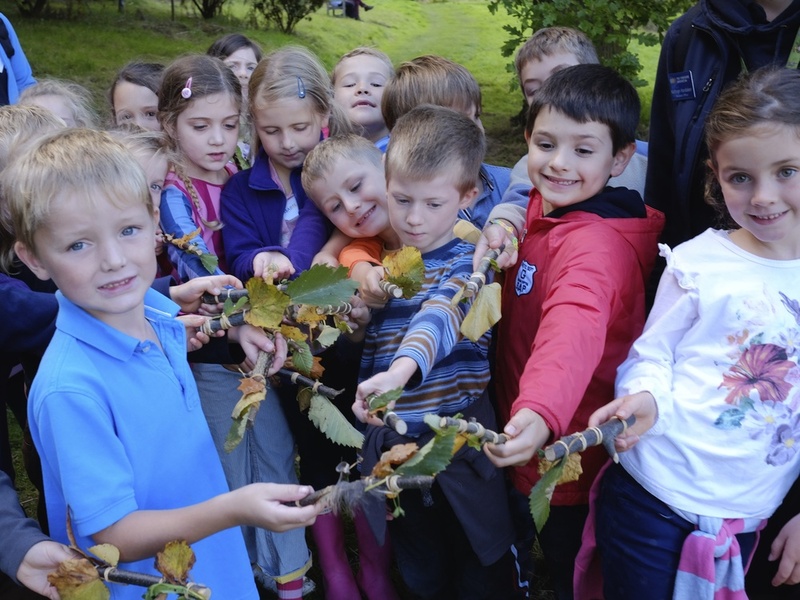 Why not contact our Education Team on education@yorkshirearboretum.org to learn more? If you're looking for a flexible, beautiful venue for something similar, please contact us on visit@yorkshirearboretum.org to discuss your requirements. Whatever the occasion, and whichever arboretum location you choose, the Yorkshire Arboretum catering team offers a range of mouth-watering menu options to suit. From simple canapés to sandwich platters, from hot or cold buffets to afternoon teas, all our food is freshly prepared in our own kitchen, using the very best, seasonal, local produce. We'll work with you to create a menu that's a perfect fit for your event, taking into account your favourite foods, budget, any dietary requirements and availability of seasonal produce. Every event and every guest is unique so we don't offer set menus. Instead our sample selections on the Arboretum Café page form a starting point for the creation of your perfect menu. Browse these and then contact our Café Manager on 01653 648767 or at cafe@yorkshirearboretum.org to discuss your personal requirements.